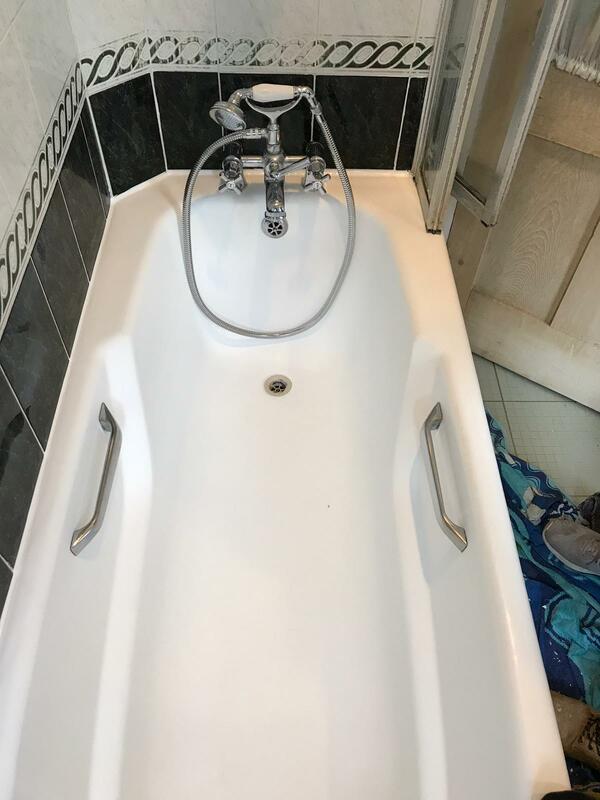 Mere is an affluent part of Cheshire adjacent to the historic Tatton Park estate and famous for the luxury Mere Resort and Spa. 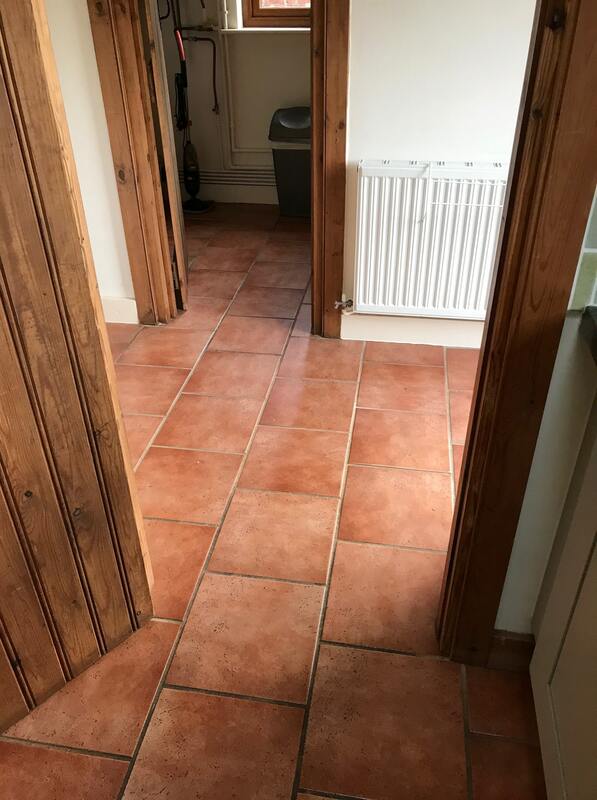 Many of the houses in the area have ample gardens that lead down to a lake, after which the village is named (‘Mere’ meaning a lake that is broad in relation to its depth). 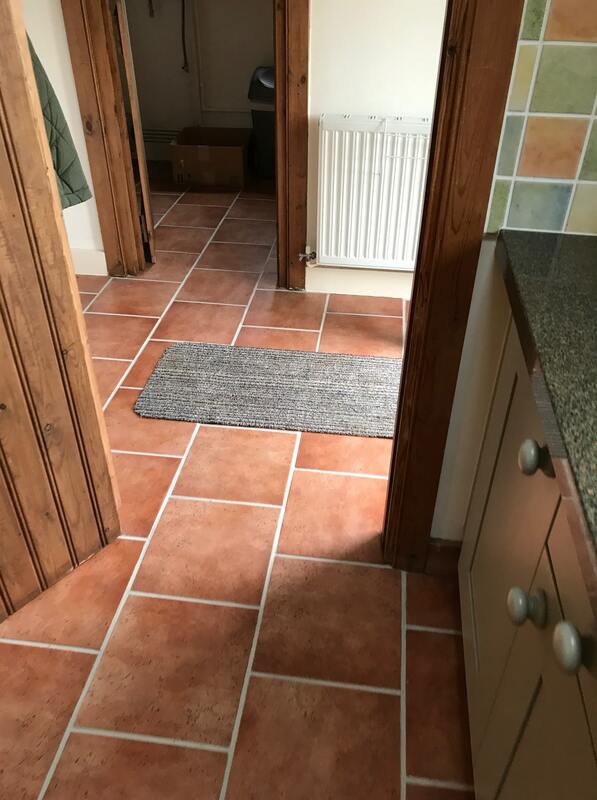 I was fortunate to visit this lovely area of Cheshire recently after receiving an enquiry from a home owner who was keen to have own of his bathrooms refurbished. 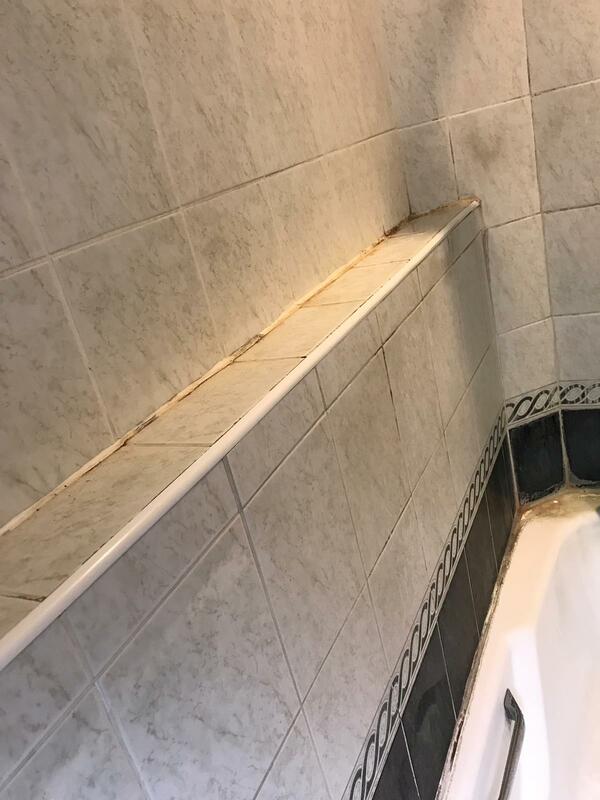 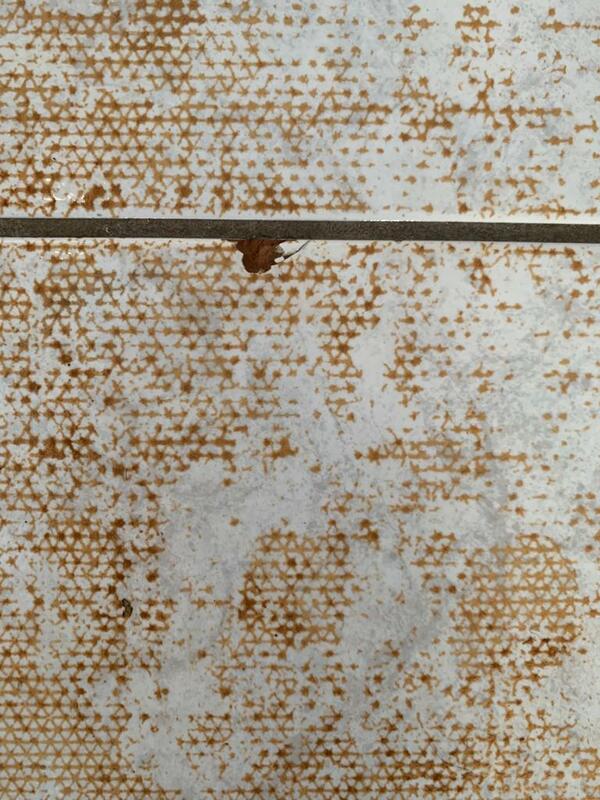 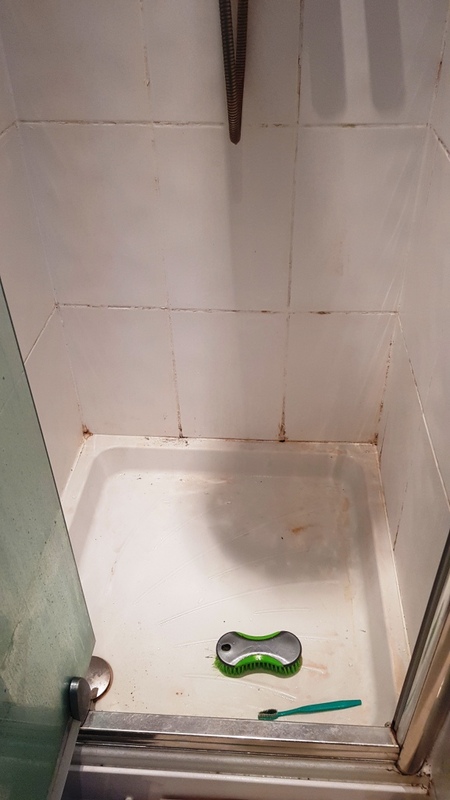 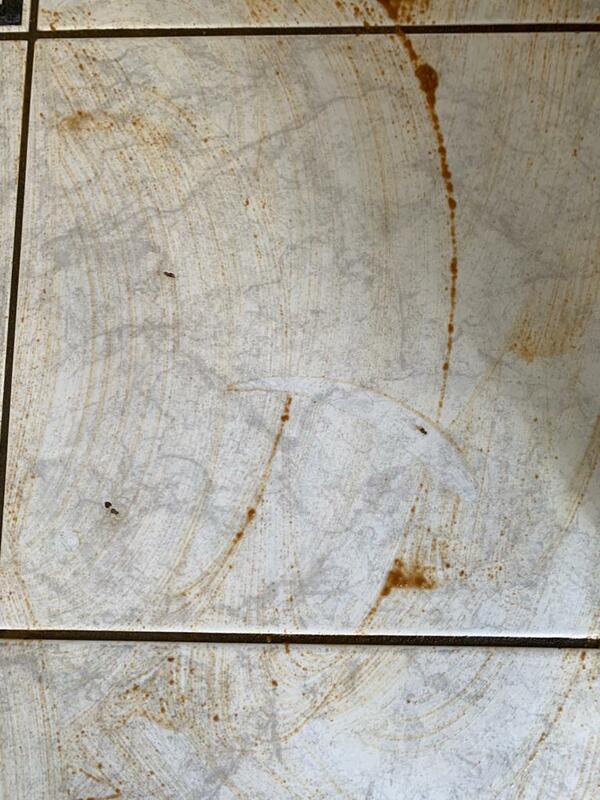 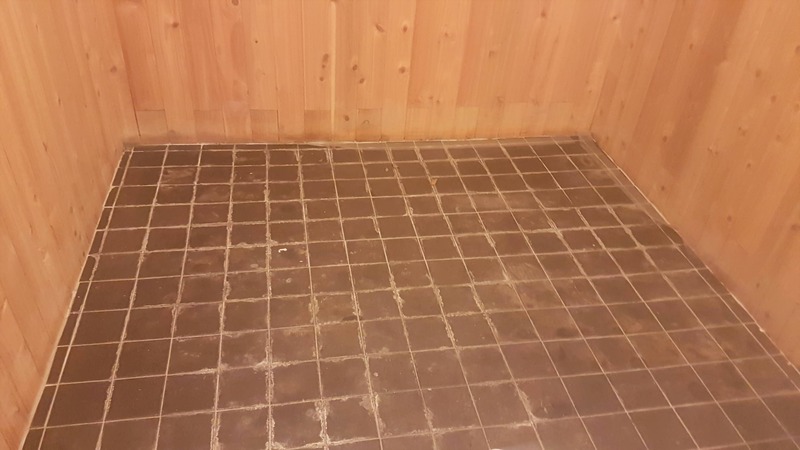 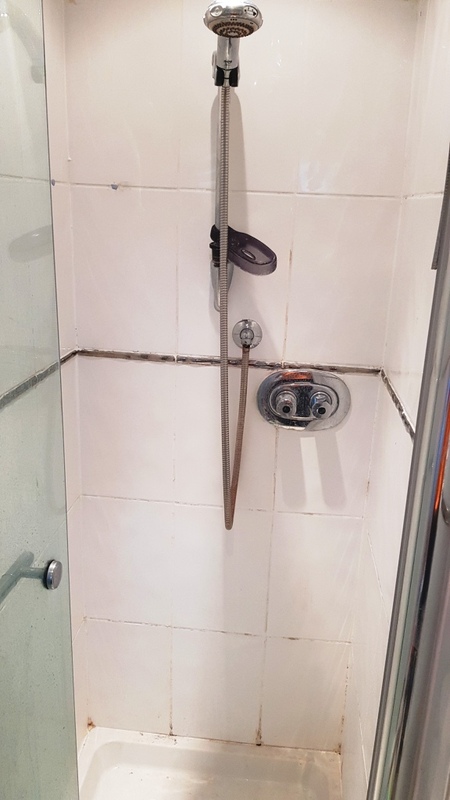 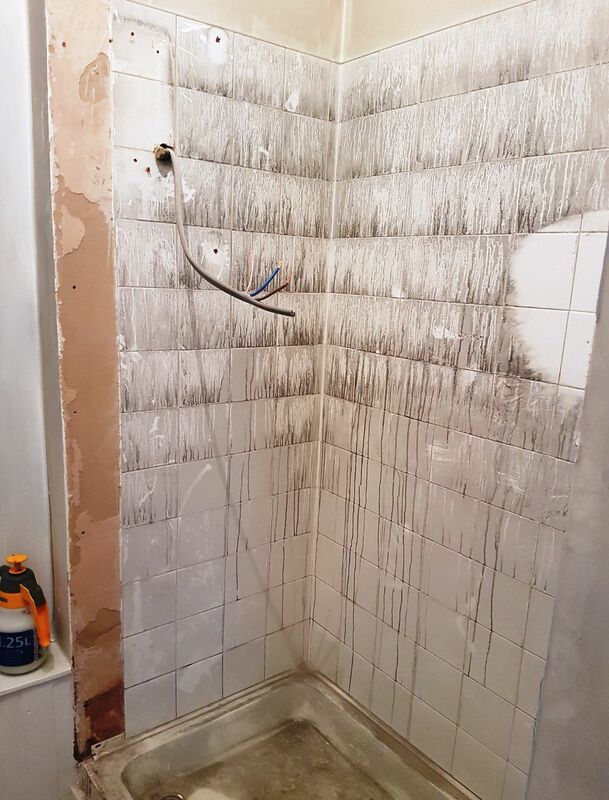 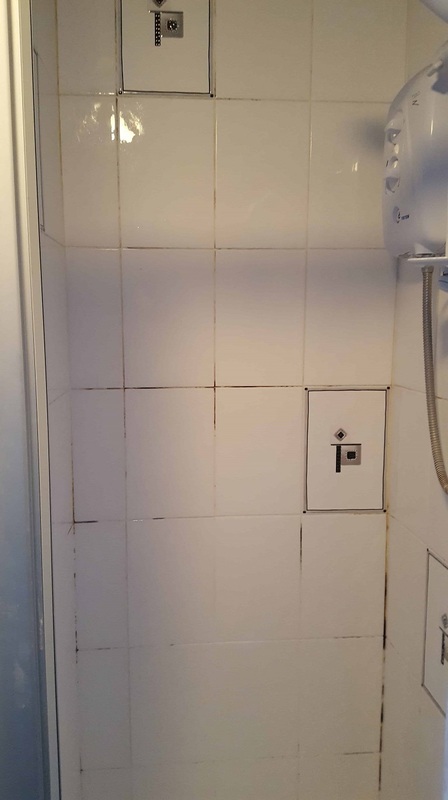 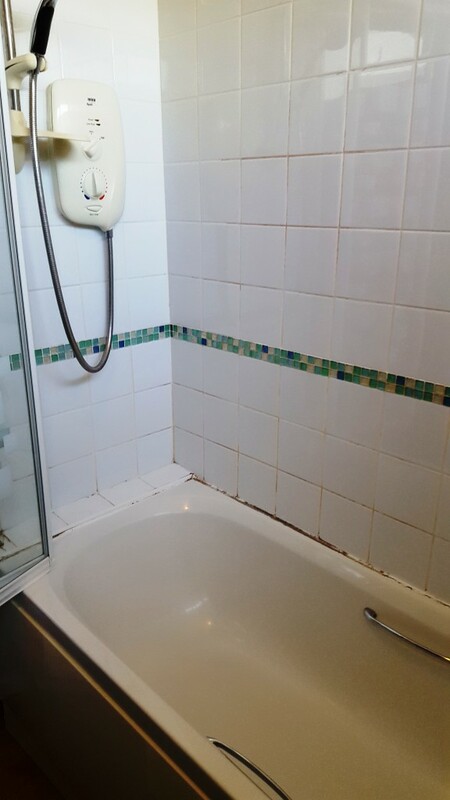 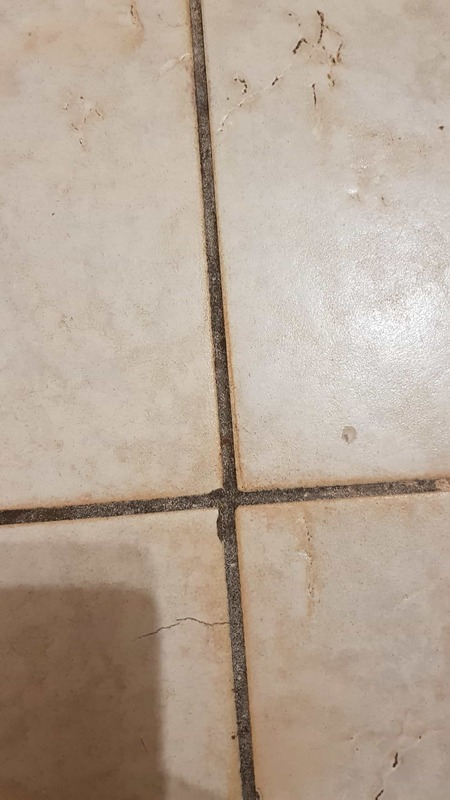 Unfortunately, the ceramic tiles surrounding the bathtub with shower over had gone mouldy over the years, with the grout lines particularly blackened and dirty. 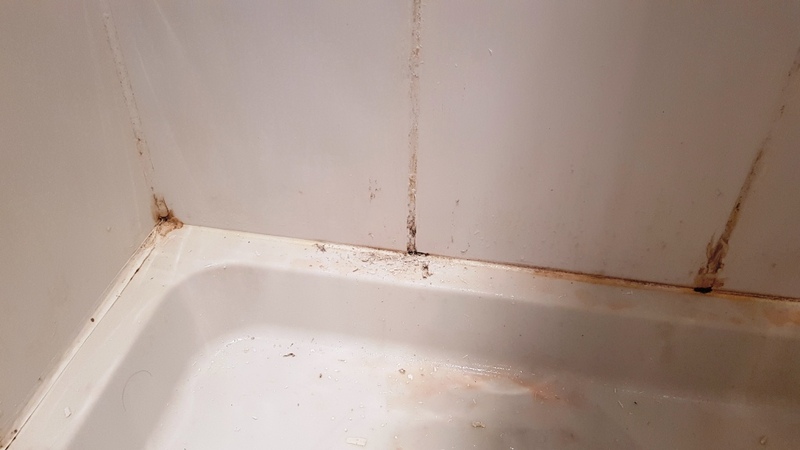 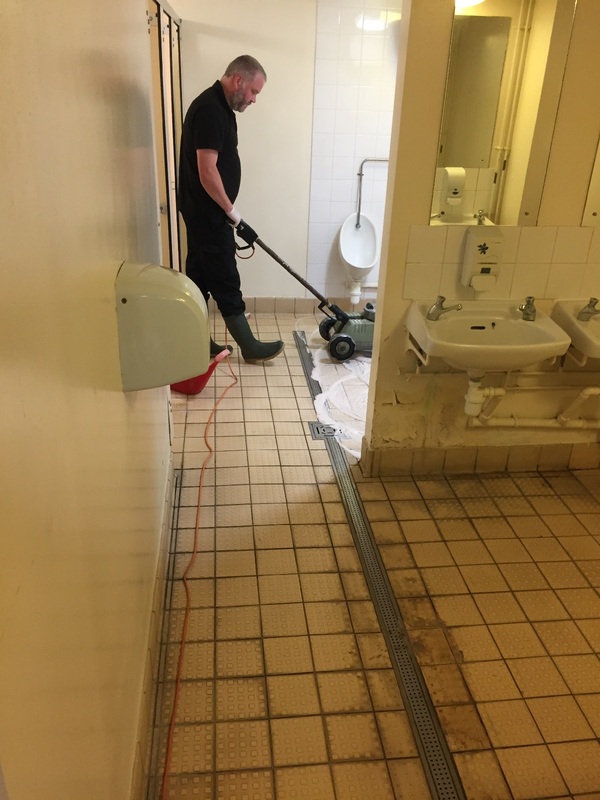 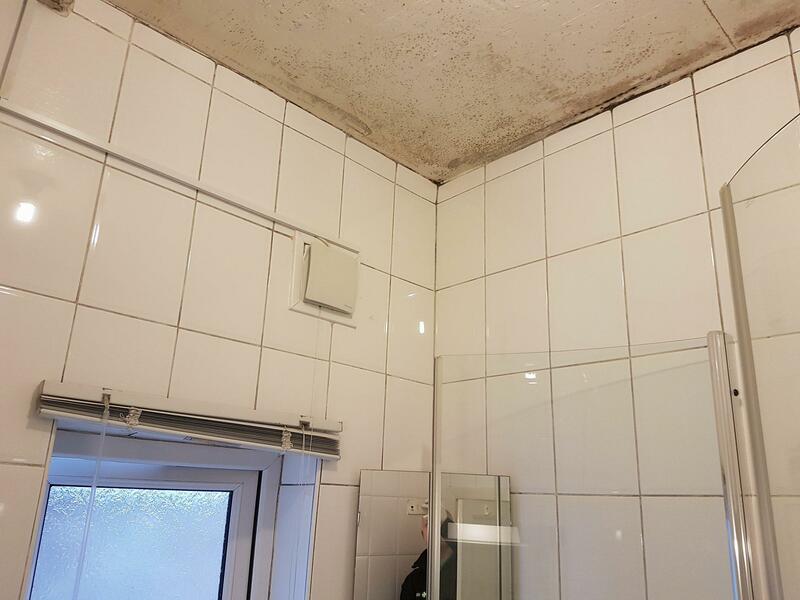 The root cause of mould build-up is generally due to a lack of ventilation and the simple action of leaving a window and door ajar after having a shower helps to cross ventilate and can reduce the problem, of course this is not always desirable during cold weather so improved mechanical extraction is always better. 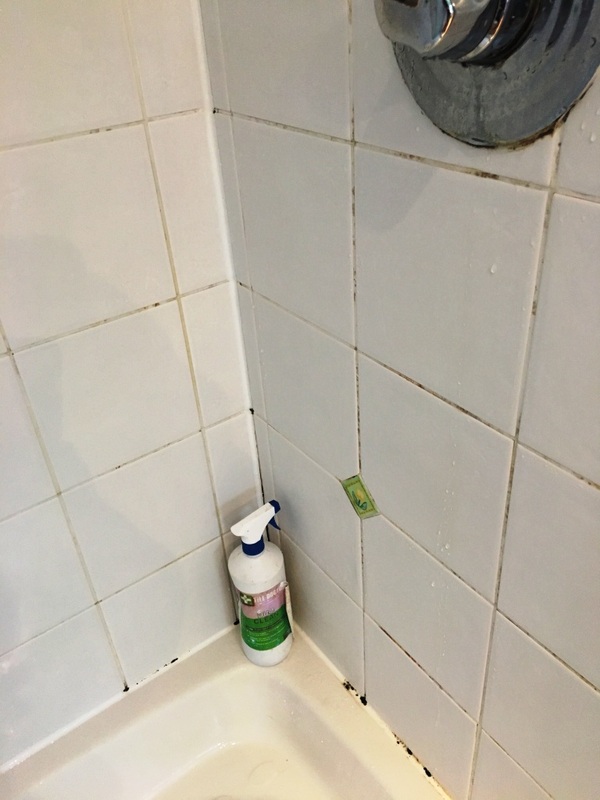 Upon my arrival, I soon got to work, starting by giving the cubicle wall a clean with Tile Doctor Duo Clean. 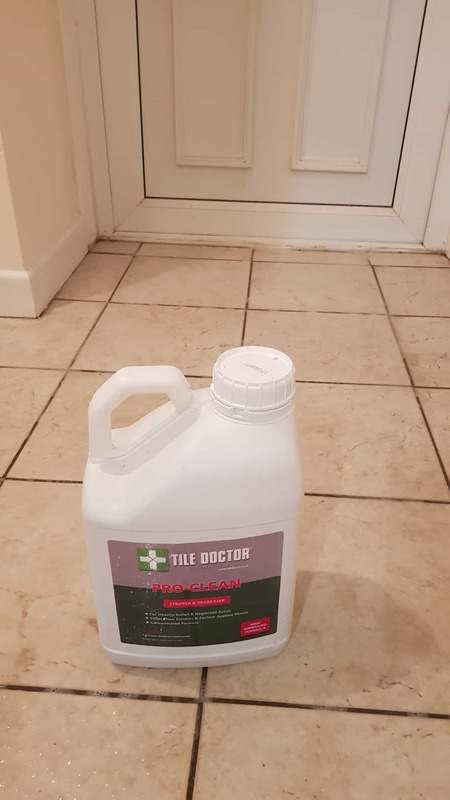 This is a new Tile Doctor product which has a fast and effective double-action formula that cleans grout and removes mould. 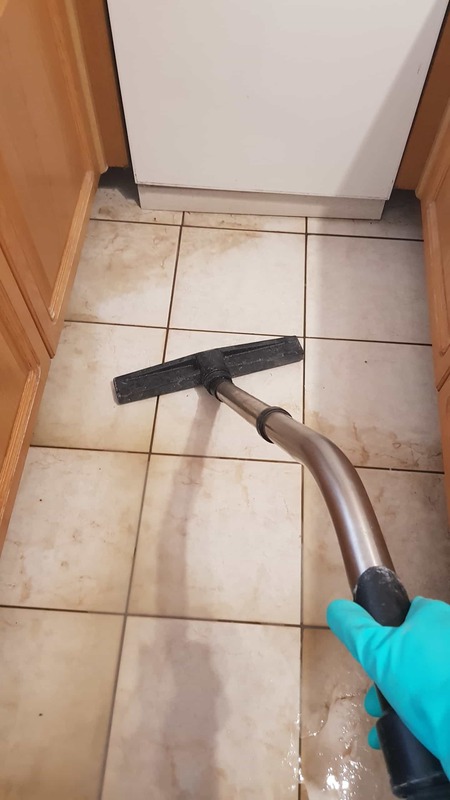 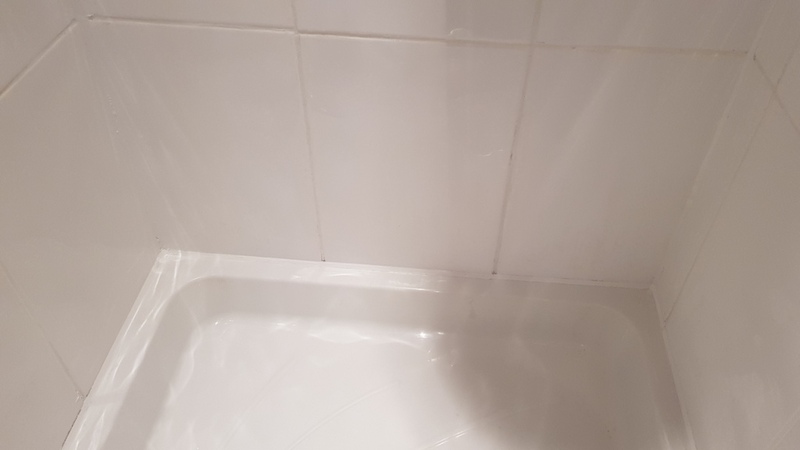 I left the product to dwell for five to ten minutes, before vigorously scrubbing the grout lines to remove the copious amount of mould and black spots. 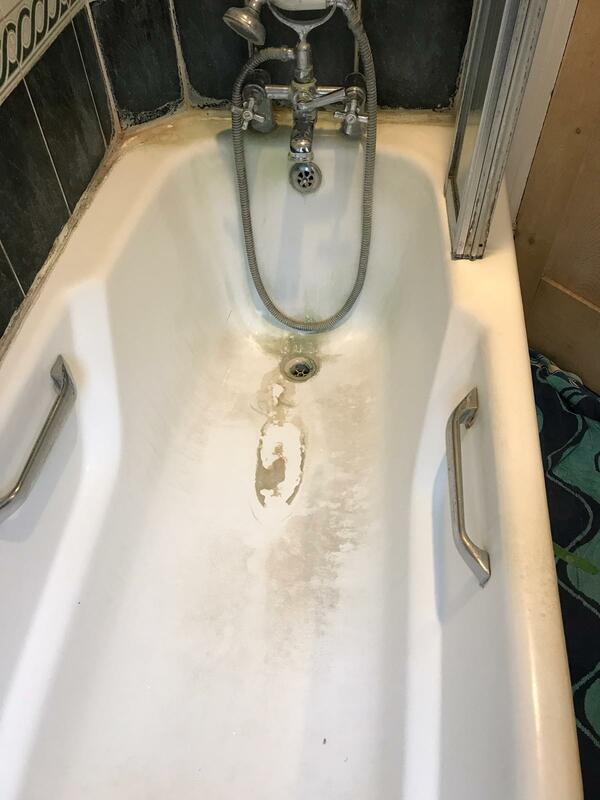 Following this, I rinsed the entire area down with clean water and left it to dry, before removing all the old silicone, as this was to be replaced. 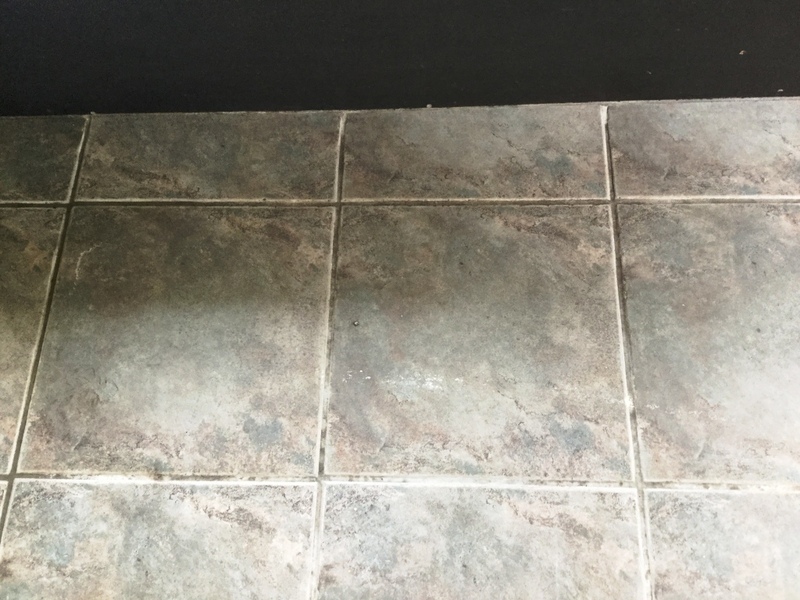 The next step involved drying down the clean grout lines quickly by using my heat gun. 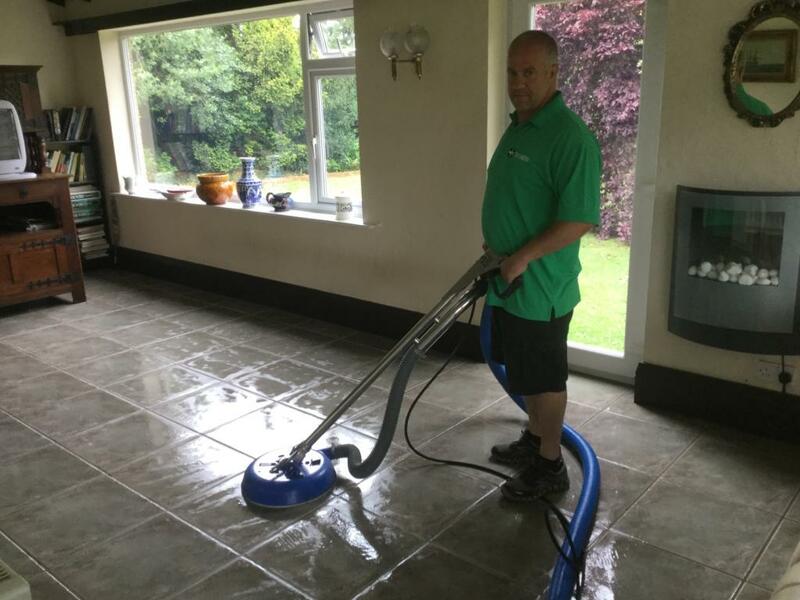 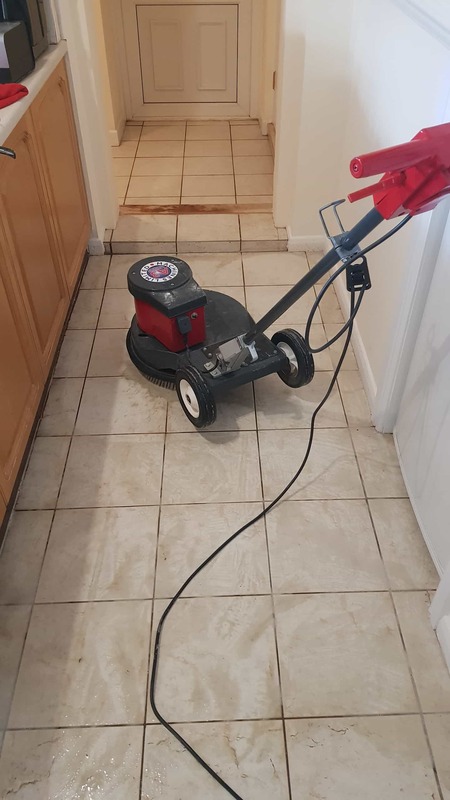 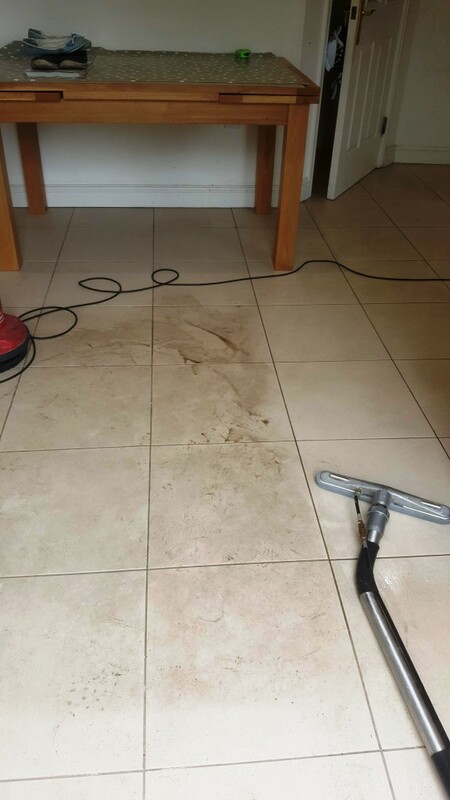 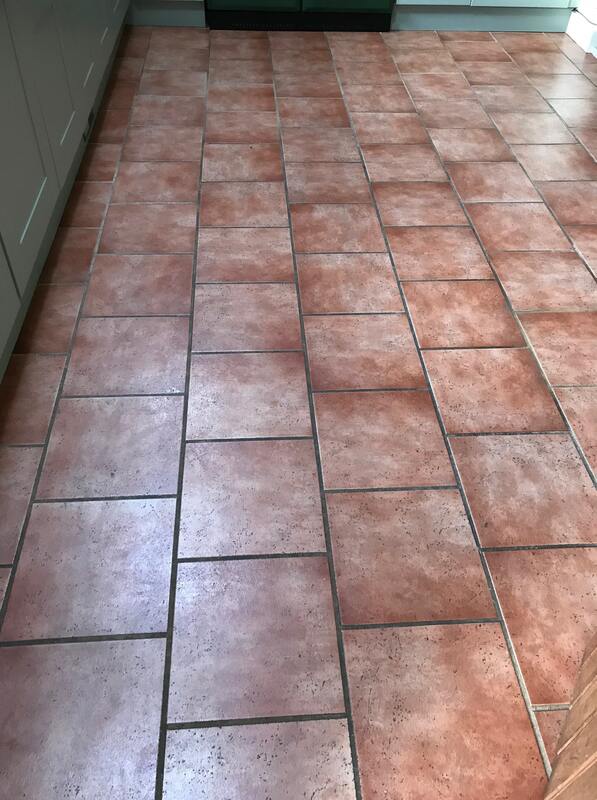 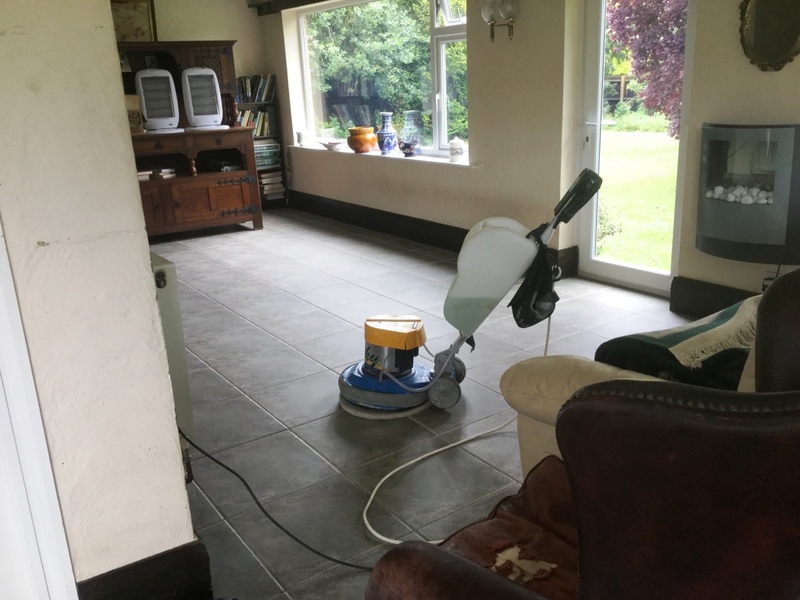 Cleaning the tile and grout with Duo Clean prepared the grout lines for recolouring using a Tile Doctor Grout Colourant which is available in a wide range of colours. 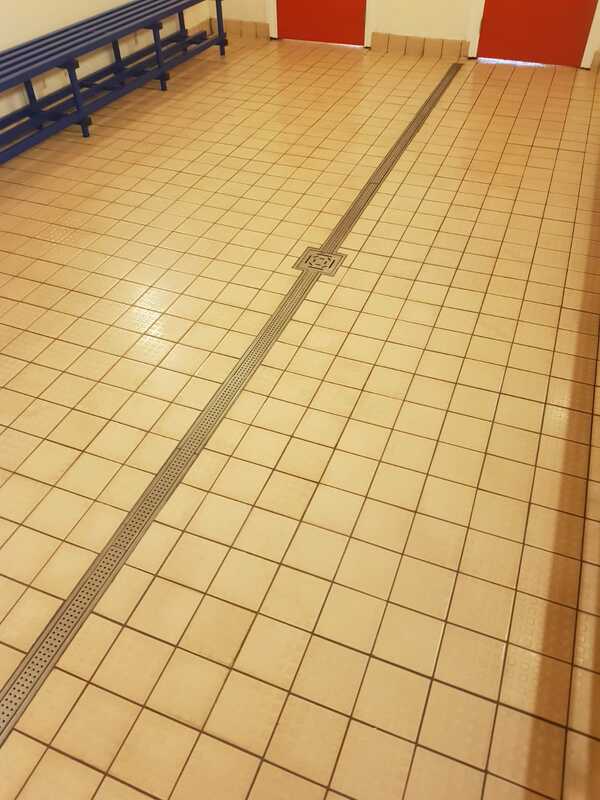 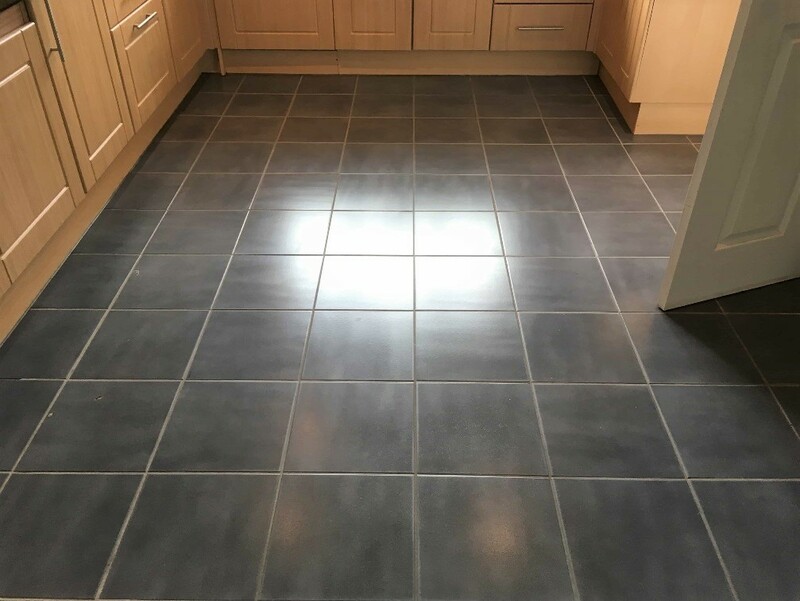 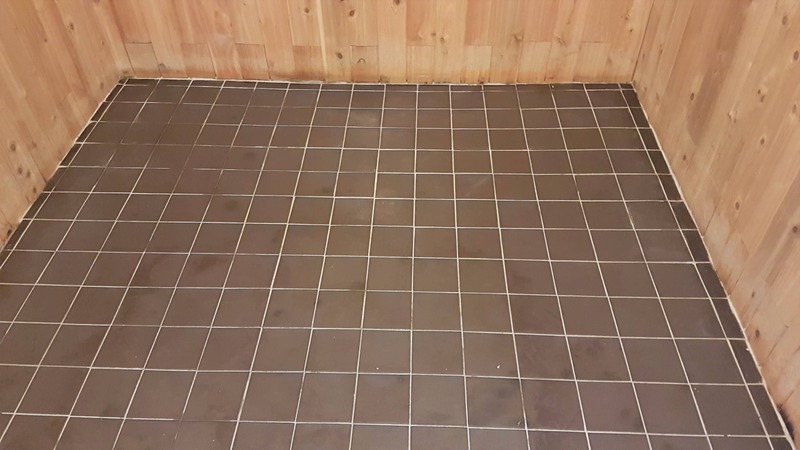 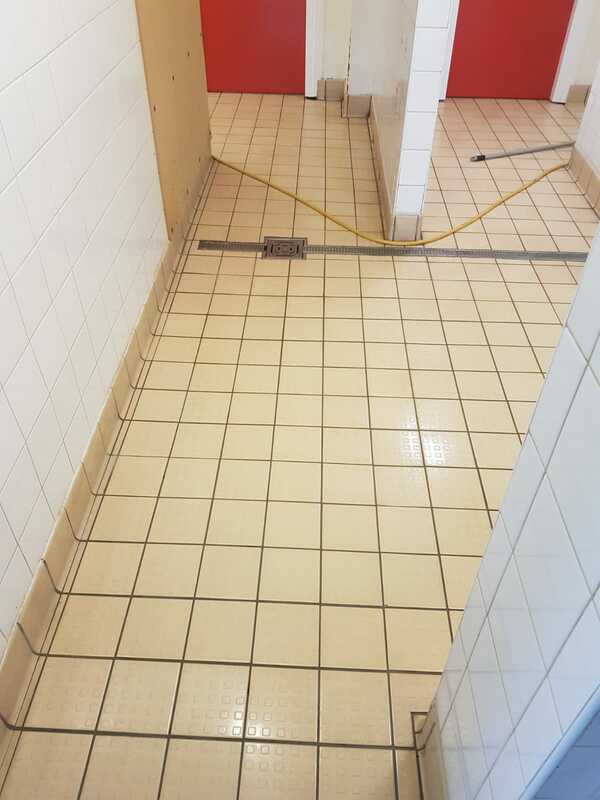 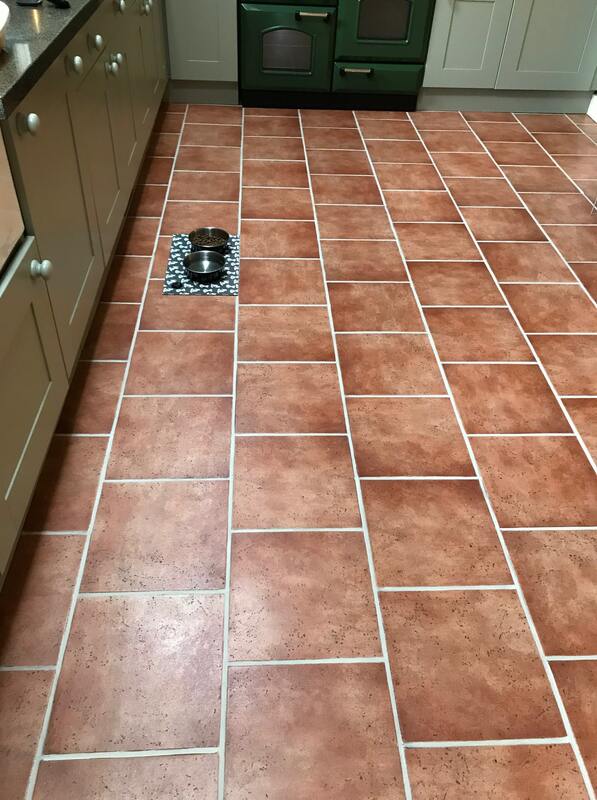 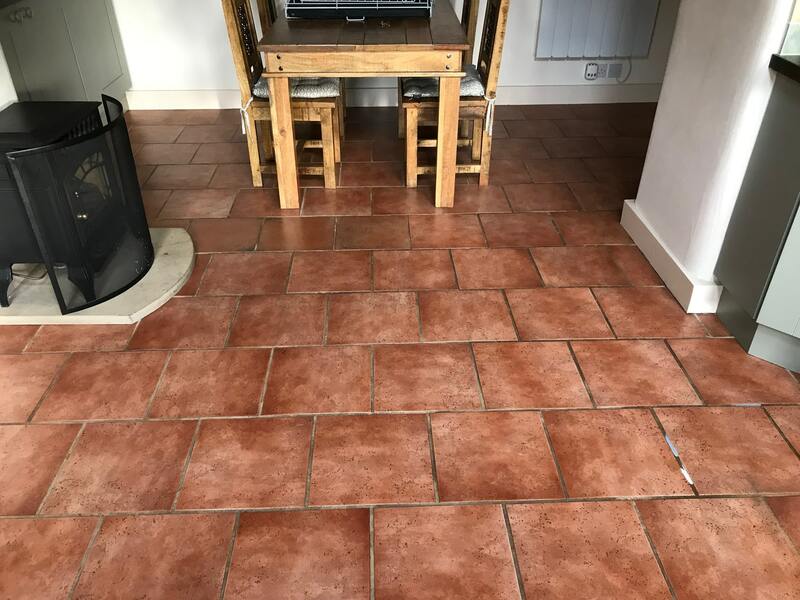 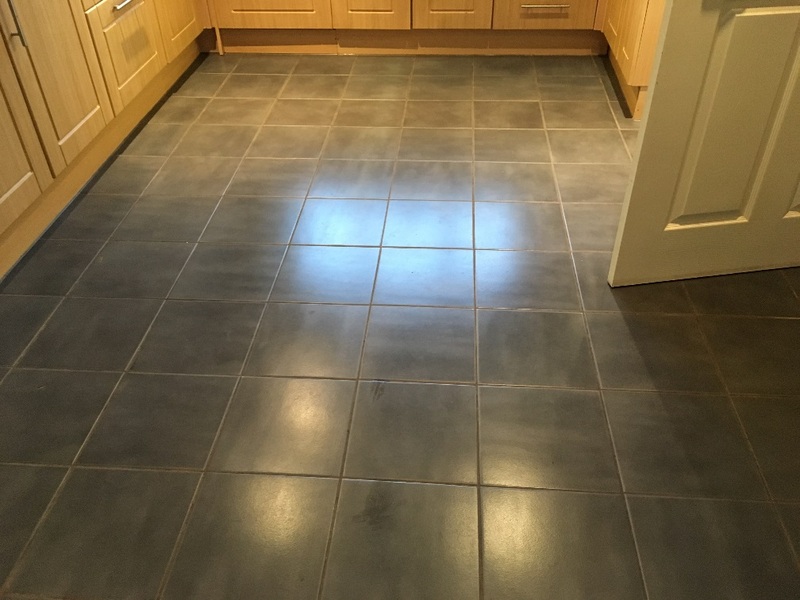 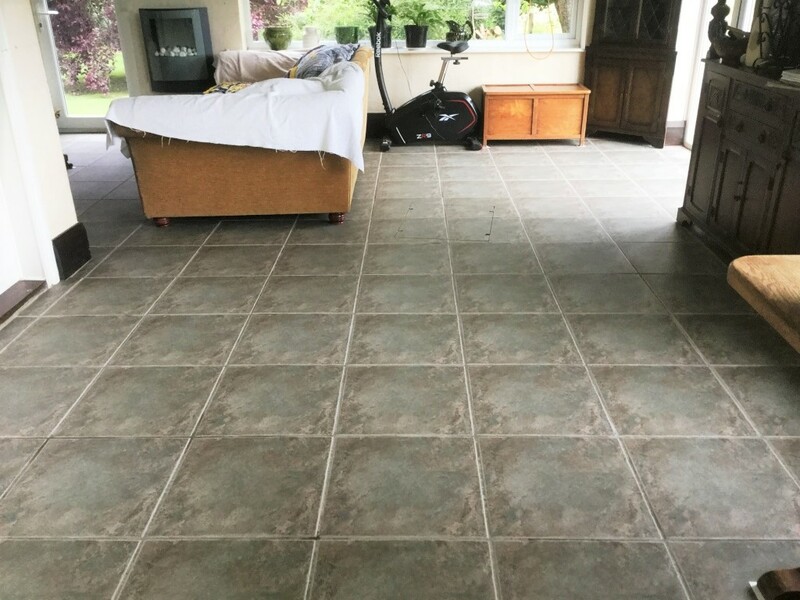 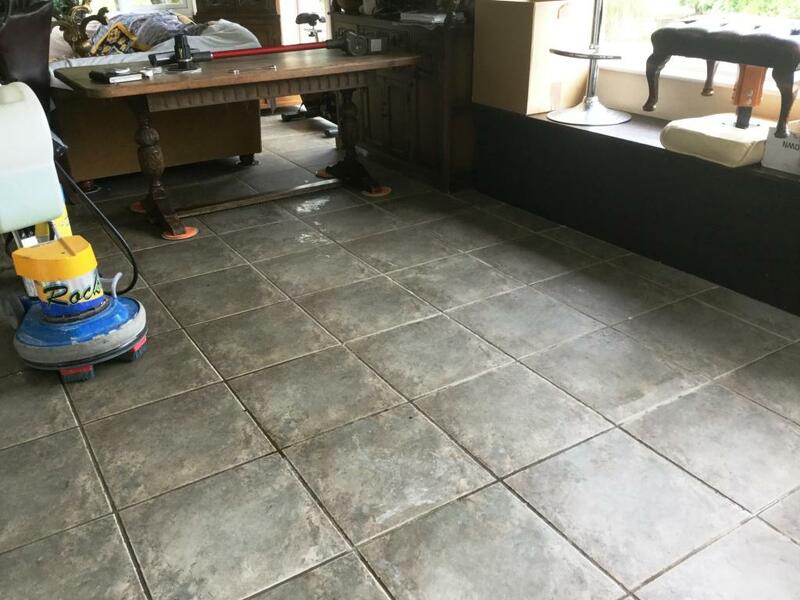 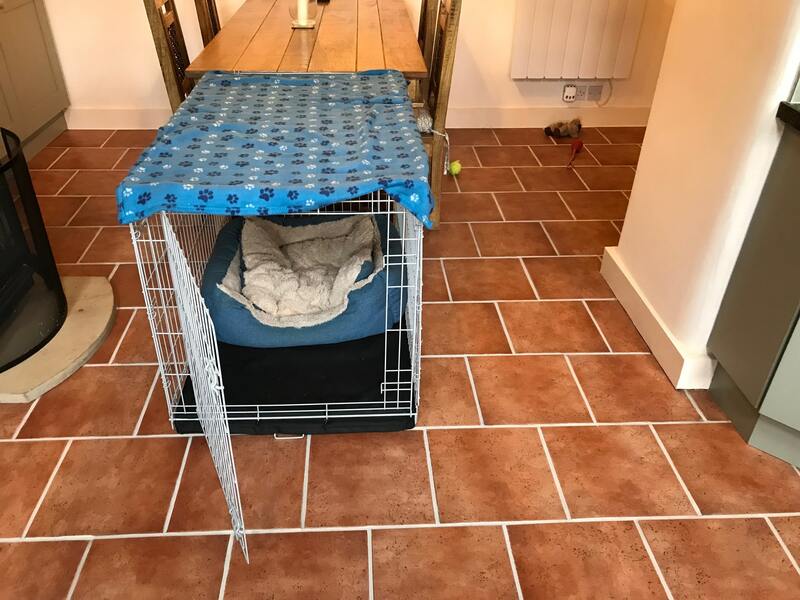 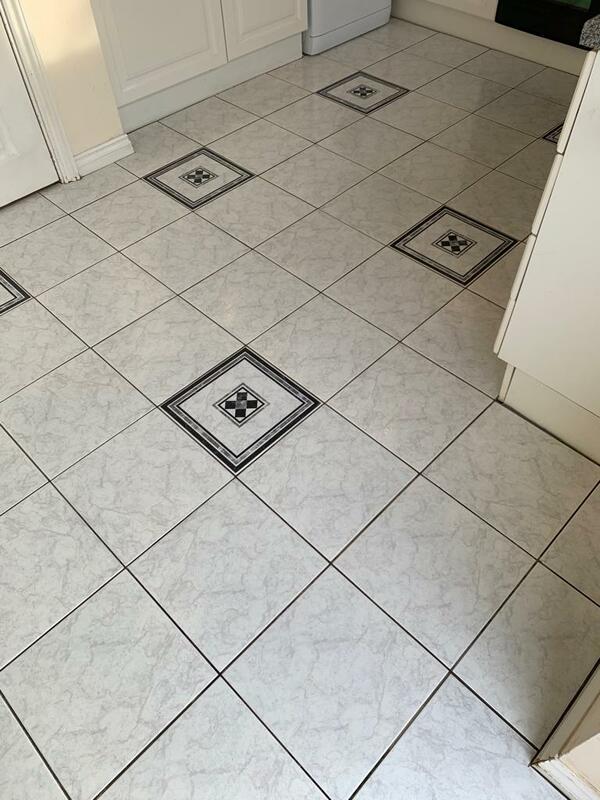 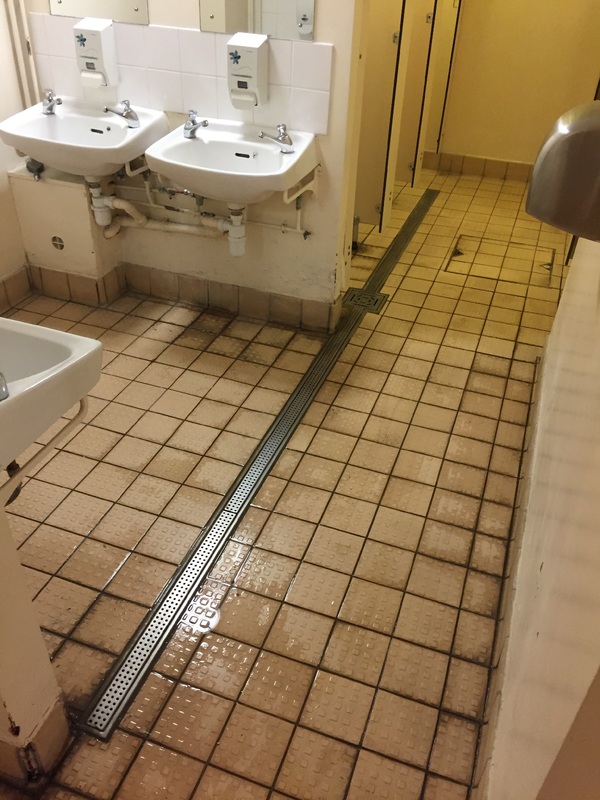 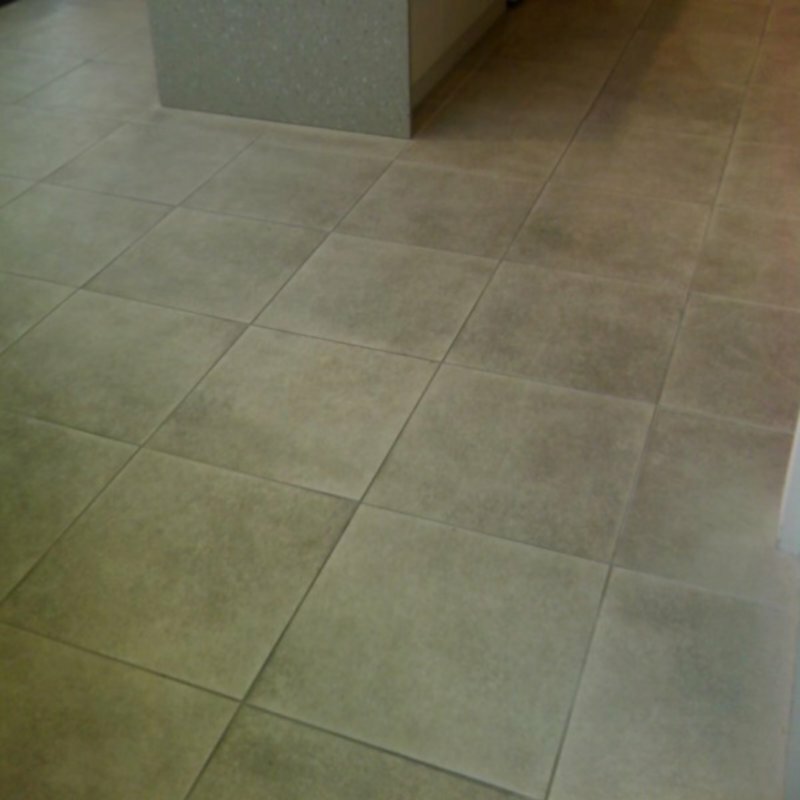 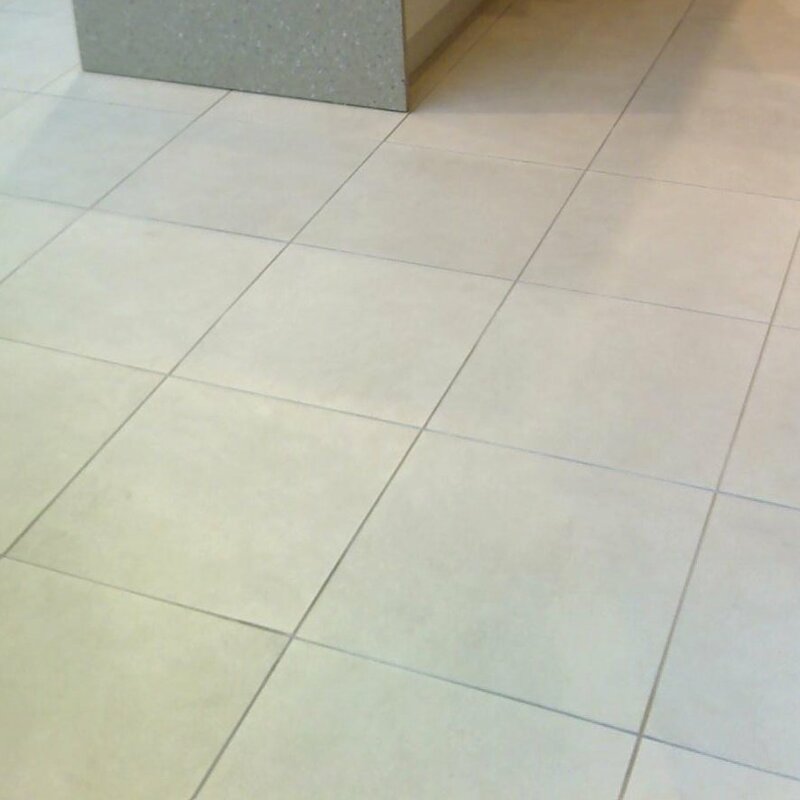 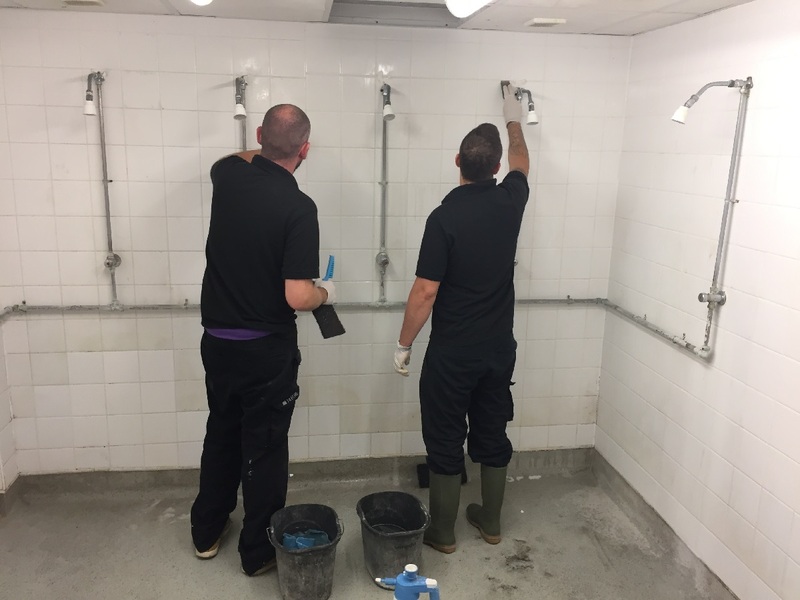 The product is made from an epoxy resin and is formulated to recolour and rejuvenate existing grout joints, it also has the added benefit of forming a barrier over the grout sealing it and therefore protecting it further. 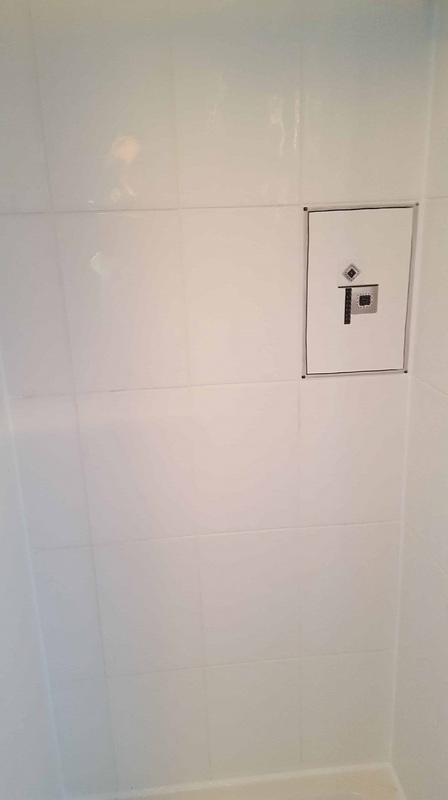 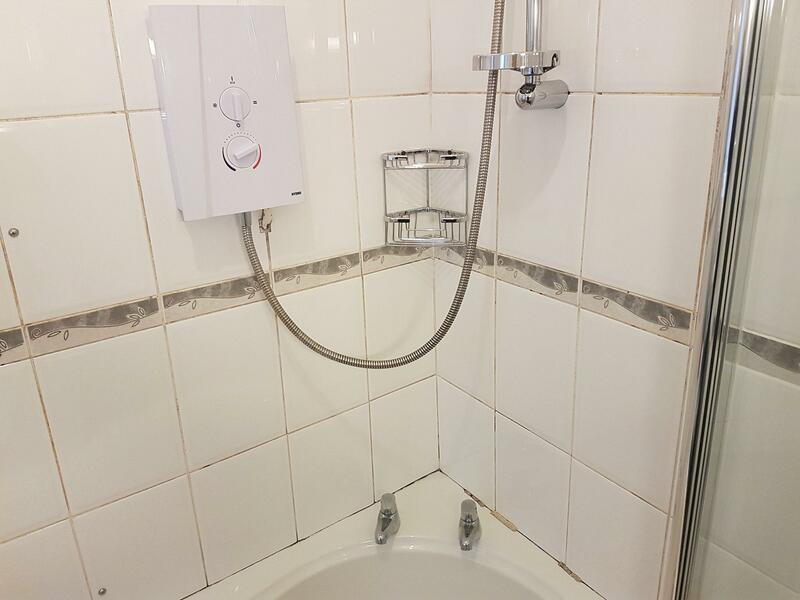 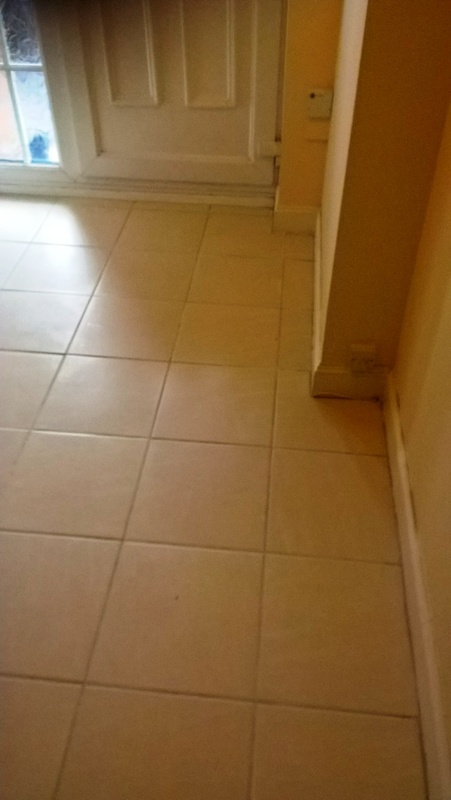 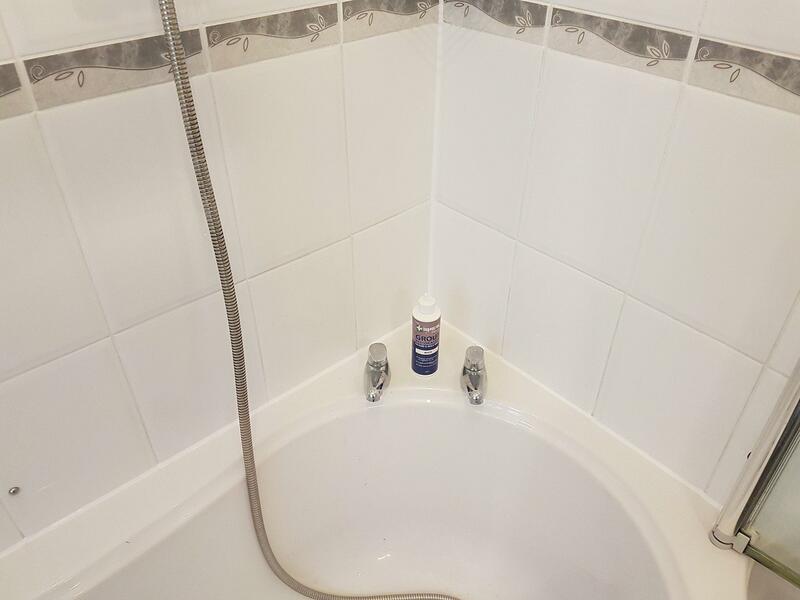 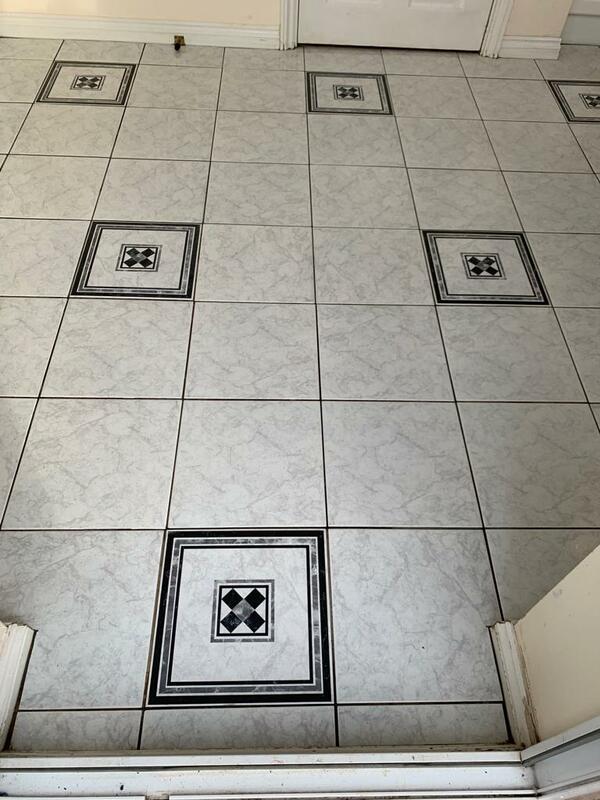 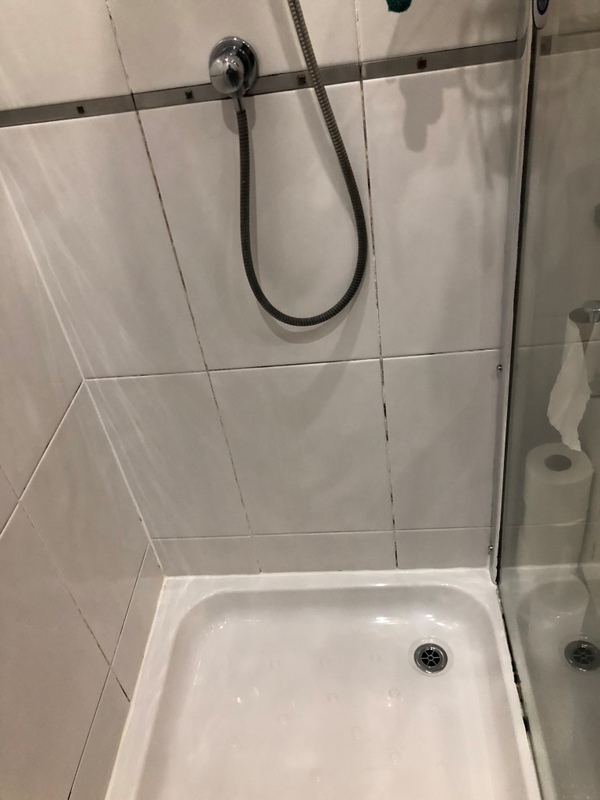 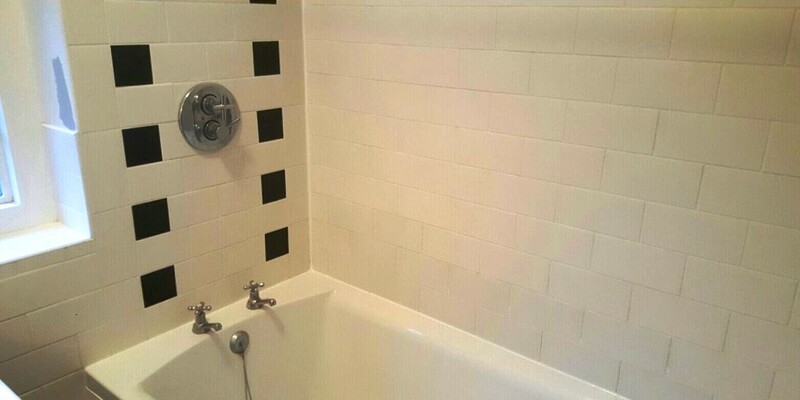 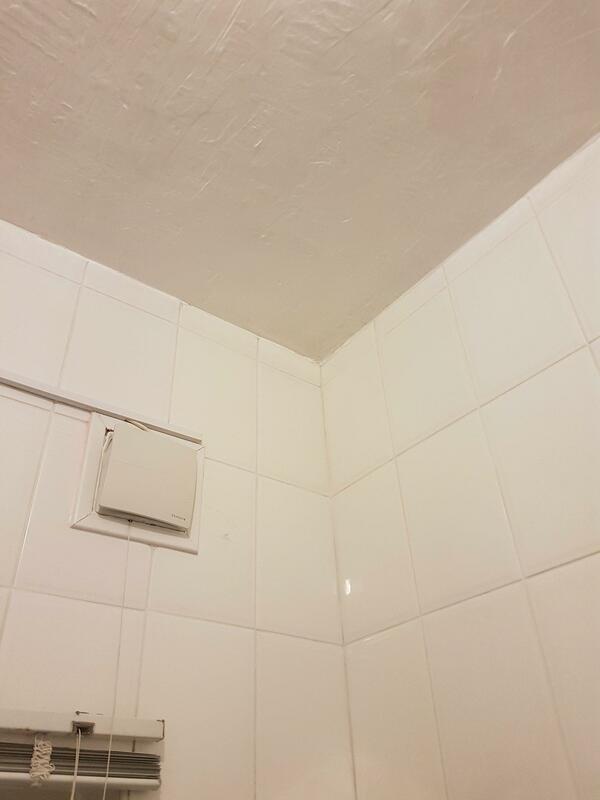 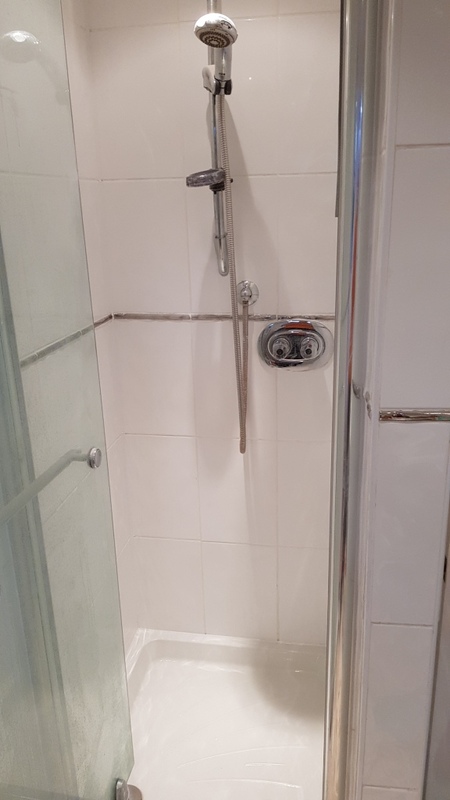 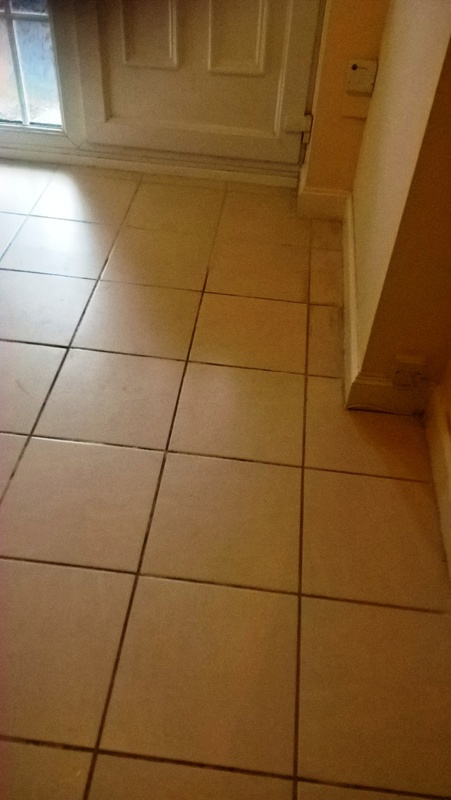 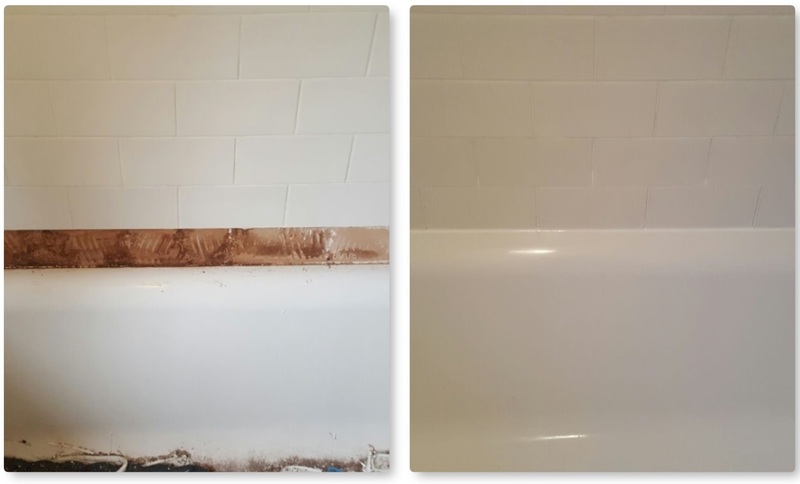 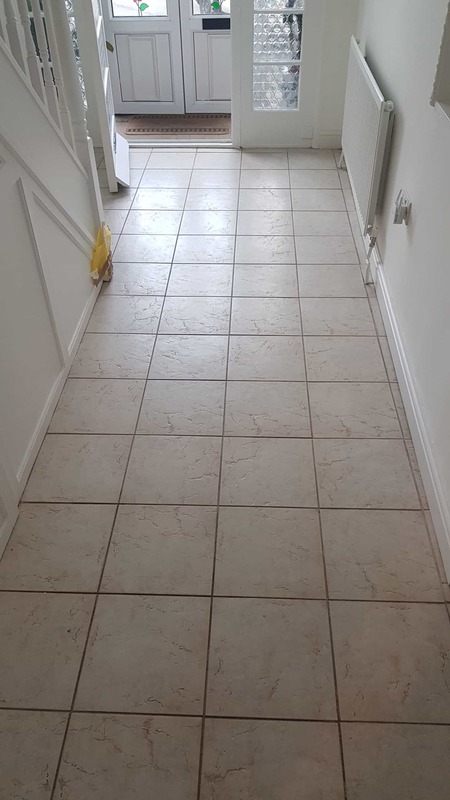 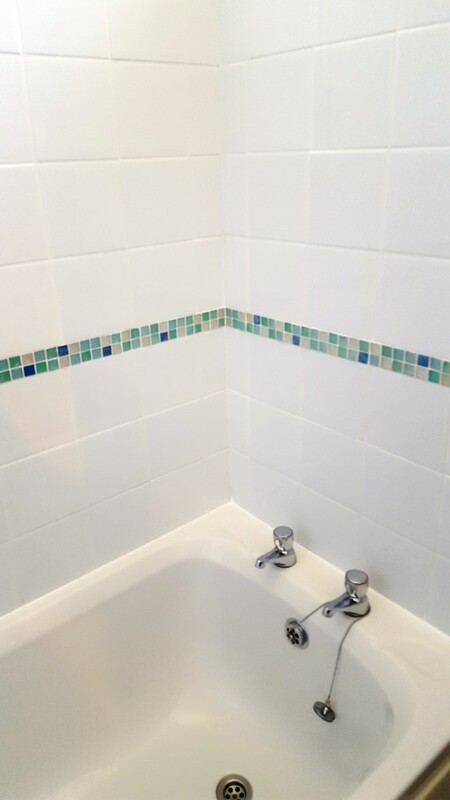 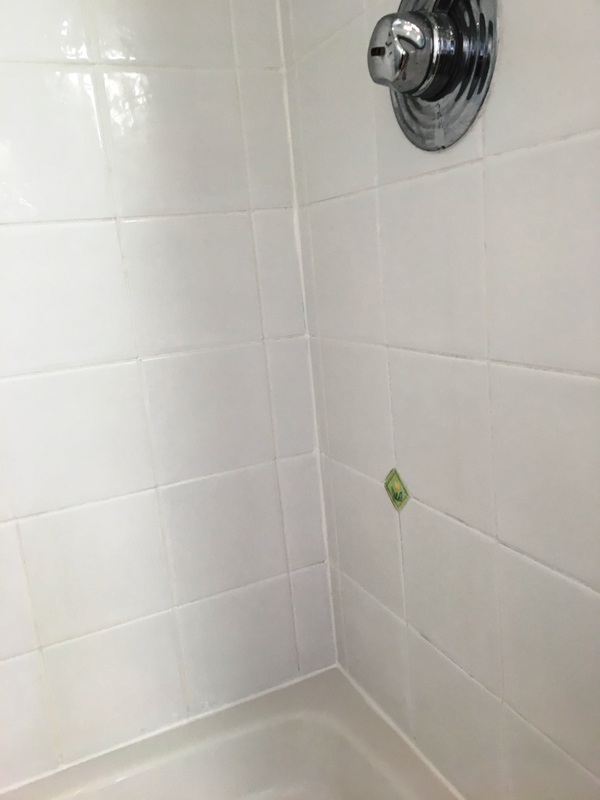 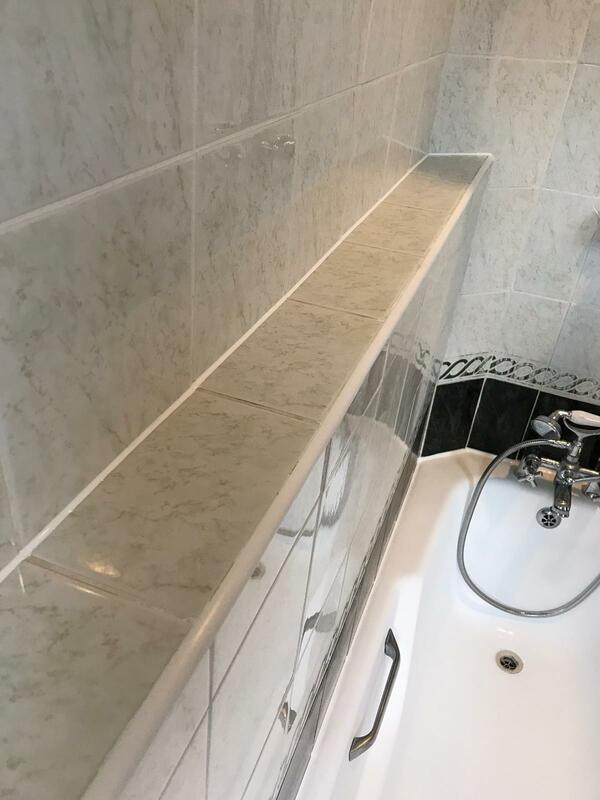 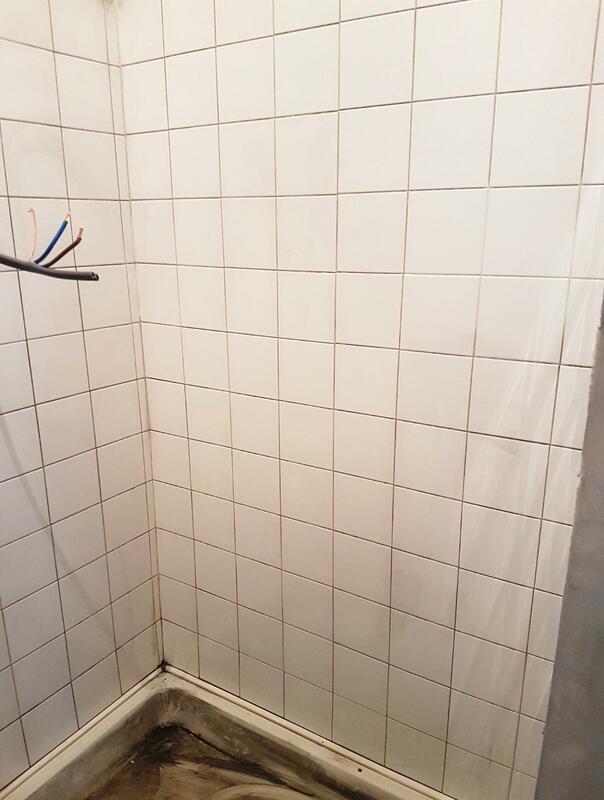 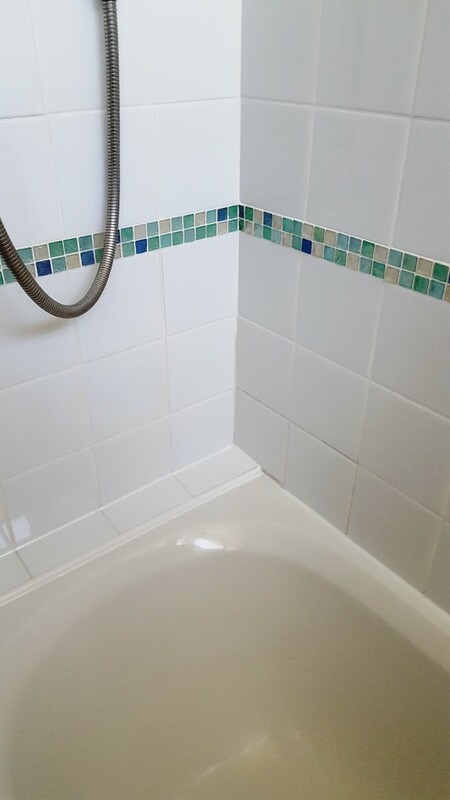 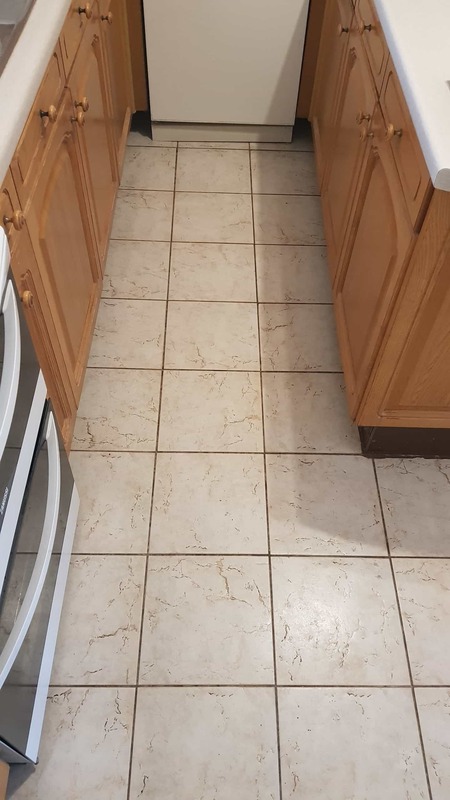 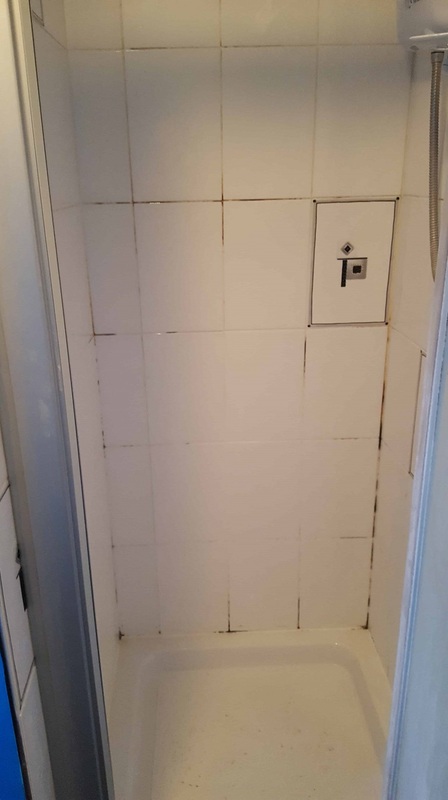 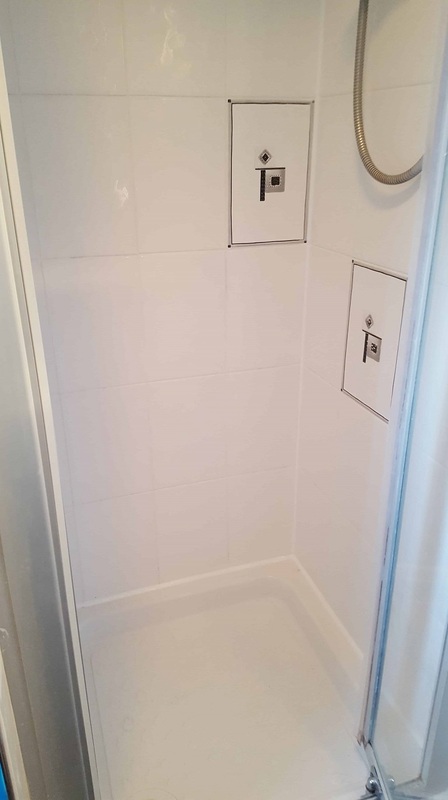 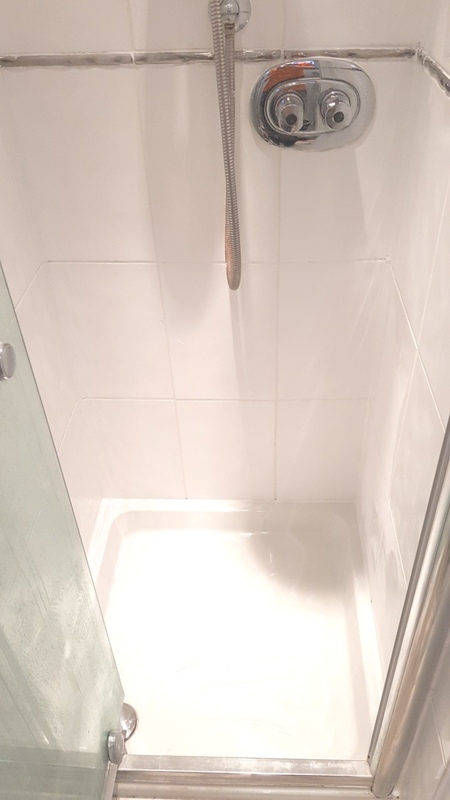 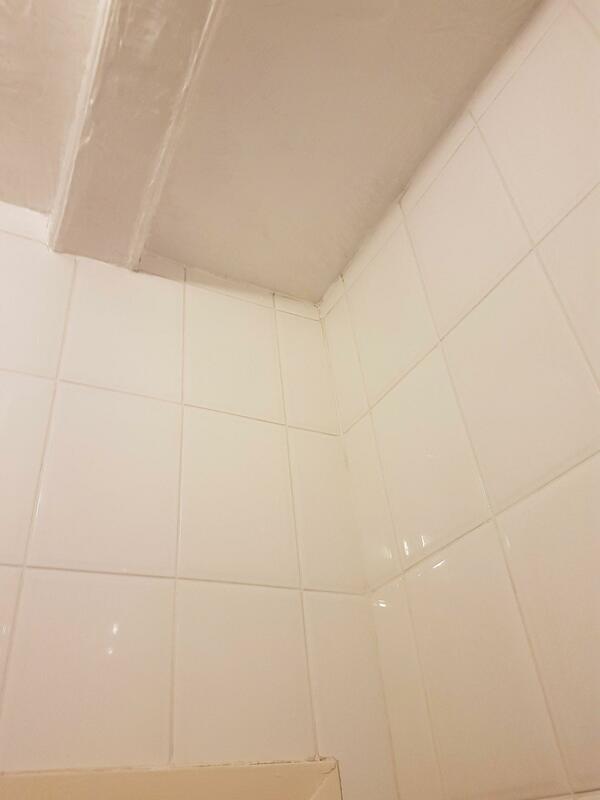 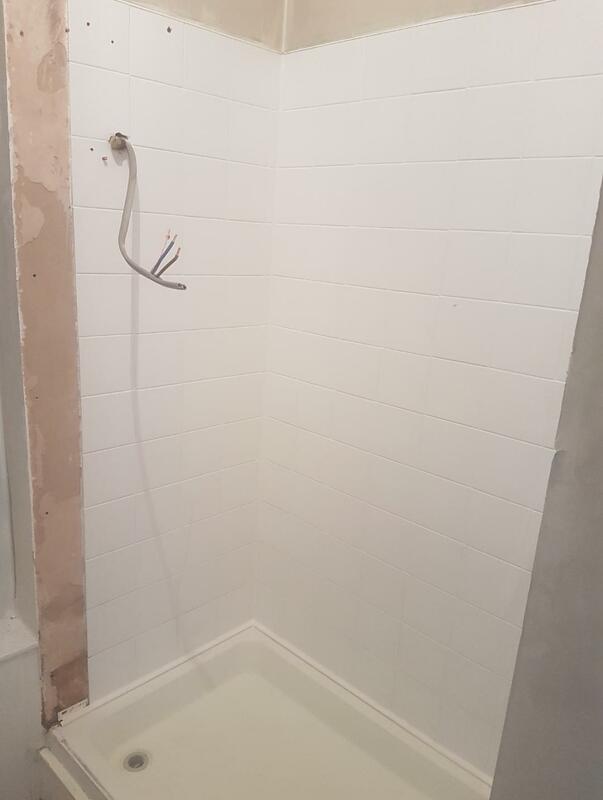 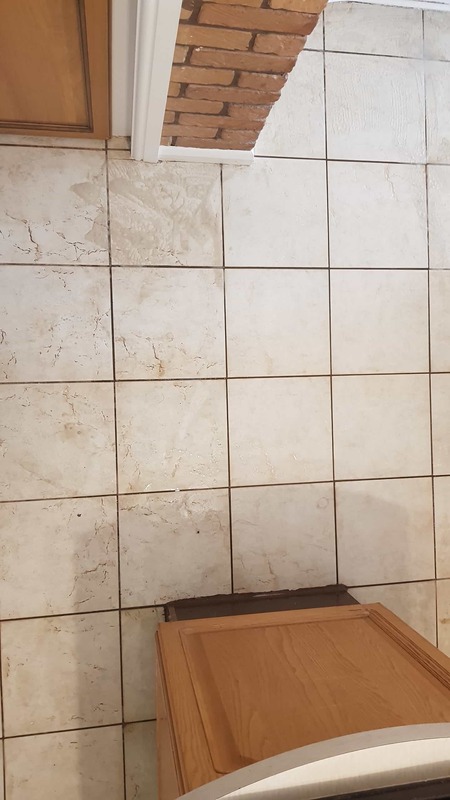 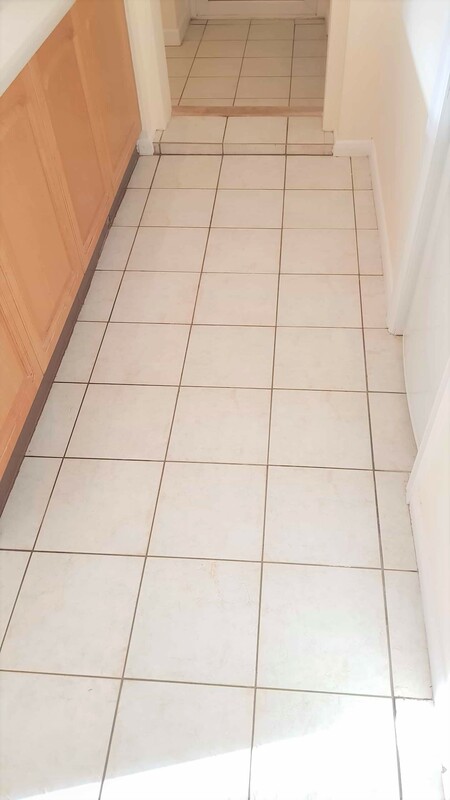 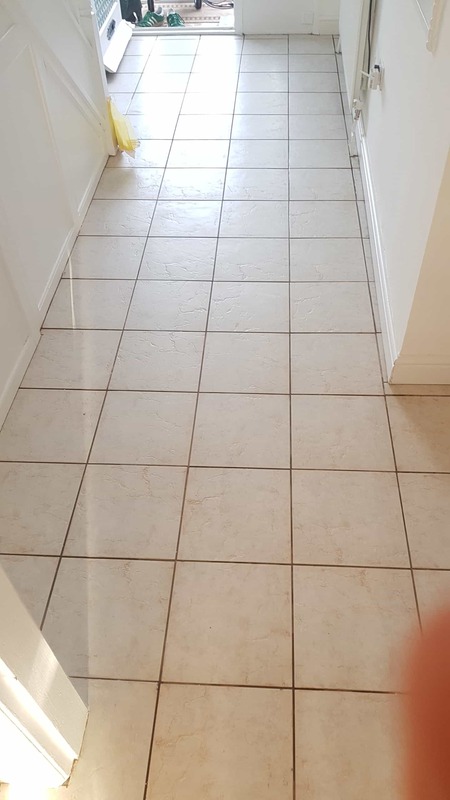 In this case a White colourant was selected to match in nicely with the rest of the bathroom and it was painted on over the grout using a small brush, any excess is wiped off the tile before it gets chance to dry. 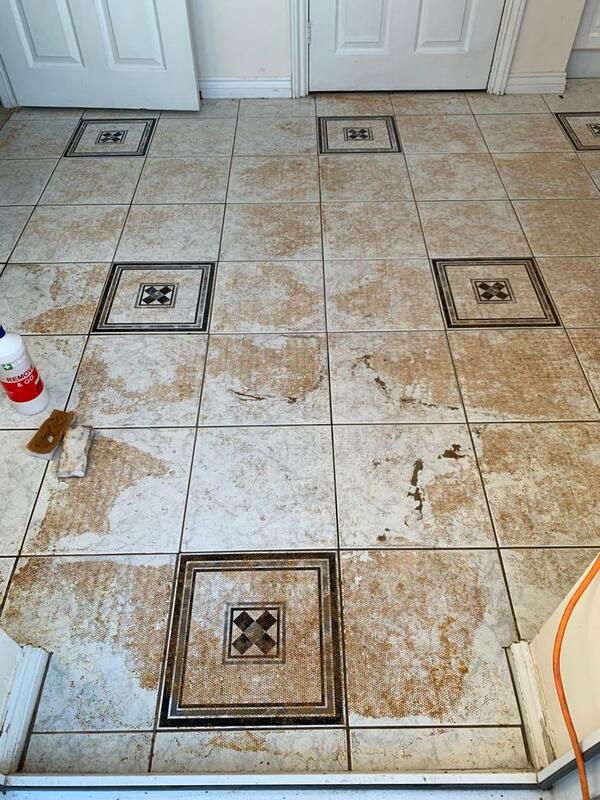 To complete the restoration, I buffed the tiles and installed a fresh silicone sealant around the base. 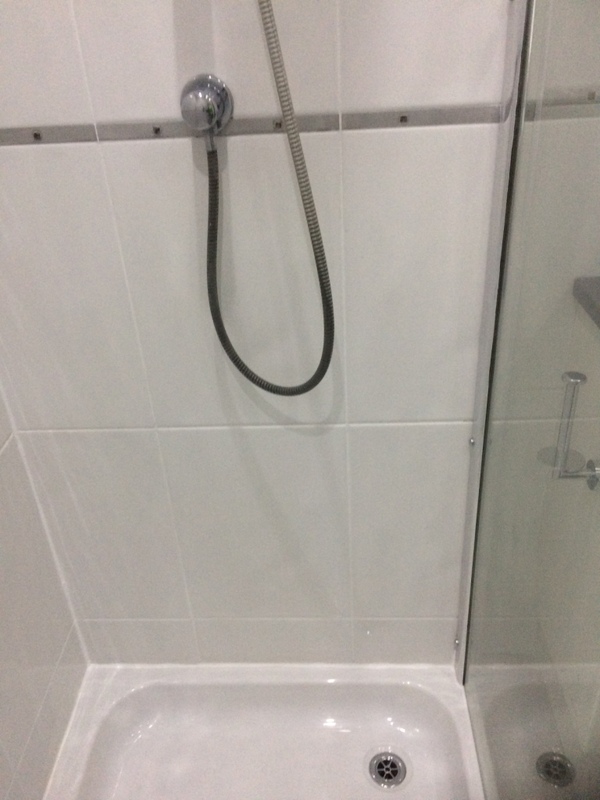 I’m pleased to say my customer was so happy with the outcome that he asked me to do the other two bathrooms, you can’t get a better testimonial than that.